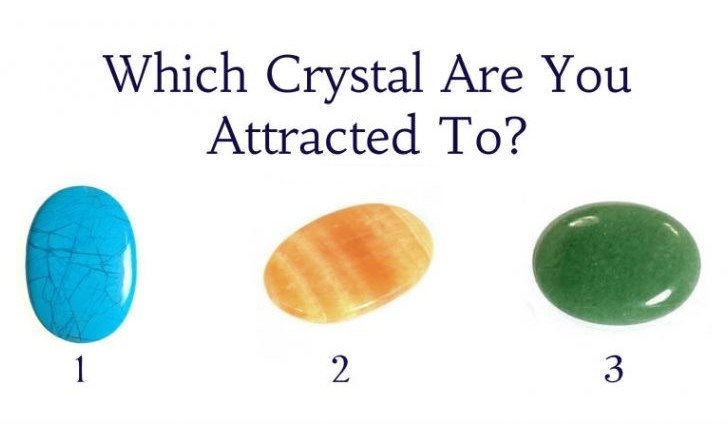 We want you to take a look at the image below, and choose one of the 3 crystals. Pick the one you are most attracted to. Whether it is for the colour, the shape, or for whatever reason, you will see how truly accurate this test is when you read your corresponding answer. 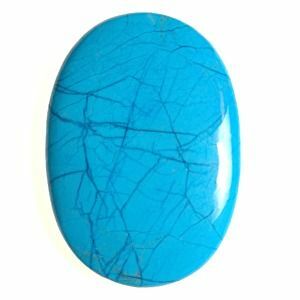 This Howlite crystal has been dyed blue, so it could also represent a feeling of inauthenticity. Are you not being true to yourself? Maybe you’re hiding behind a facade, not letting your real self show through to others? We are all unique individuals, there isn’t anyone on this Earth who is just like you, so maybe it’s time to let your true, wonderful self be known. If crystal number two was your choice, you are in need of balance, rest, invigoration or much love. You need some true harmony in your life. Green is the heart chakra, which is central to all the other chakras. So this chakra has to do with the heart, balance, harmony, healing and love. If you chose this crystal, you are lacking balance, and you need to find your peaceful center. Has this chakra been closed off due to past injuries? You may save yourself a little pain by closing the heart chakra, but it also makes you unable to receive love or make deep connections with people. You may struggle making new friends. The heart chakra also represents love of self, so perhaps it’s time to start really caring for yourself and appreciating all the great things about you. Spend some time and effort nurturing yourself and fulfilling your needs, a little self care can go a long way!